On 9 June 2017, scholars from a range of disciplines across the United Kingdom and Spain met at the University of Warwick to discuss the ways in which taking a global perspective can enrich research on early modern Iberia and colonial Spanish America. Coming at a time when Spanish exceptionalism is being increasingly challenged but the Americas are still being side-lined in the writing of global history, the presenters addressed gaps in current historiography and challenged Eurocentric narratives of early modern history which have predominated since the Enlightenment. The final roundtable called for definition in the language of movement in global history and concluded that we need to rethink global history as a project that began in the sixteenth century with conceptions of an Iberian or Catholic globe, an orbe hispano. Alonso Acero, B. (2006), Sultanes de Berbería en tierras de la cristiandad. Exilio musulmán, conversión y asimilación en la Monarquía hispánica (siglos xvi y xvii), Barcelona: Bellaterra. Brading, D.A. (1991), The First America: The Spanish Monarchy, Creole Patriots and the Liberal State 1492-1867, Cambridge: Cambridge University Press. Bentley, J.H., S. Subrahmanyam, M.E. Wiesner-Hanks (eds.) (2015), The Cambridge World History, Volume 6: The Construction of a Global World, 1400–1800 CE, Cambridge: Cambridge University Press. 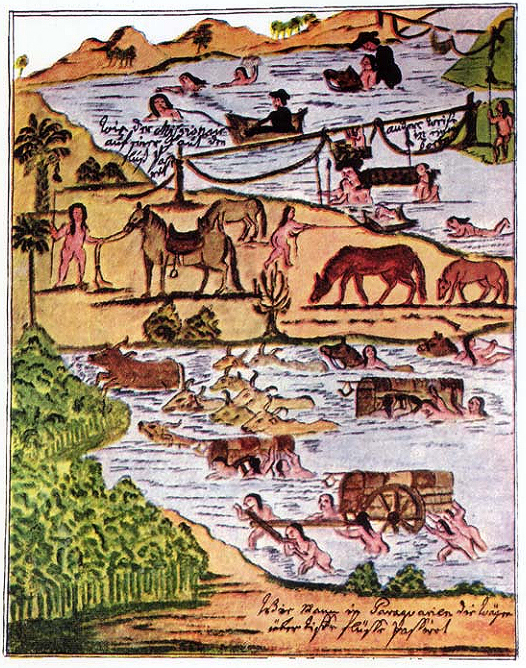 Brown, M. (2015), ‘The global history of Latin America’, Journal of Global History, 10 (3), 365-386. Cañizares-Esguerra, J. (2001), How to Write the History of the New World: Histories, Epistemologies, and Identities in the Eighteenth-Century Atlantic World, Stanford: Stanford University Press. Cañizares-Esguerra, J. (2009) ‘Entangled Histories: Borderland Historiographies in New Clothes?’ The American Historical Review 112 (3), 787-99. Cardim, P., T. Herzog, J.J. Ruiz Ibáñez and G. Sabatini (eds.) (2012), Polycentric Monarchies: How did Early Modern Spain and Portugal Achieve and Maintain a Global Hegemony? Eastbourne (Oregon): Sussex Academic Press. Conrad, S. (2016), What is Global History?, Princeton: Princeton University Press. Elliott, J.H. (1992) ‘A Europe of Composite Monarchies’, Past & Present 137 (1), 48-71. Elliott, J.H. (2017) ‘The history of early modern Spain in retrospect’, in K. Lynn and E.K. Rowe (eds). The early modern Hispanic world: transnational and interdisciplinary approaches, Cambridge: Cambridge University Press, pp. 341-361. García Galán, A. (1995), El Oficio de Indias 1566-1767, Sevilla: Fundación Fondo de Cultura de Sevilla. Gerritsen, A. and G. Riello (eds.) (2016), The global lives of things: the material culture of connections in the early modern world, London: Routledge. Ginzburg, C. (2015), ‘Microhistory and world history’, in J. Bentley, S. Subrahmanyam, and M. Wiesner-Hanks (eds. ),The Cambridge World History Vol. 6, pp. 425-445. Ghobrial, J-P. (2014), ‘The Secret Life of Elias of Babylon and the Uses of Global Microhistory’, Past & Present, 222 (1), 51-93. Hirschi, C. (2011), The Origins of Nationalism: An Alternative History from Ancient Rome to Early Modern Germany, Cambridge: Cambridge University Press. Hook, D. (2015), The Arthur of the Iberians: The Arthurian Legends in the Spanish and Portuguese Worlds, Cardiff: University of Wales Press. Martínez-Serna, J.G. (2009), ‘Procurators and the Making of the Jesuits’ Atlantic Network,’ in B. Bailyn and P. L. Denault (eds)., Soundings in Atlantic history: latent structures and intellectual currents, 1500-1830, Cambridge, Mass. : Harvard University Press, pp. 181-210. Minchella, G. (2014), Frontiere aperte: Musulmani, ebrei e cristiani nella Repubblica di Venezia (XVII secolo), Rome: Viella. O’Brien, P. (2006) ‘Historiographical Traditions and Modern Imperatives for the Restoration of Global History’, Journal of Global History 1 (1), 3-39. Pagden, A. (1984), The Fall of Natural Man: The American Indian and the Origins of Comparative Ethnology, Cambridge Iberian and Latin American Studies. Cambridge: Cambridge University Press. Parker, G. (1988), The Military Revolution: Military Innovation and the Rise of the West, 1500–1800, Cambridge: Cambridge University Press. Parrott, D. (2012) The Business of War: Military Enterprise and Military Revolution in Early Modern Europe, New York: Cambridge University Press. Ruiz Ibáñez, J.J. and I. Pérez Tostado (2015) Los exiliados del Rey de España, Madrid: Fondo de Cultura Económica de España. Trivellato, F. (2011), ‘Is There a Future for Italian Microhistory in the Age of Global History?’, California Italian Studies 2 (1).